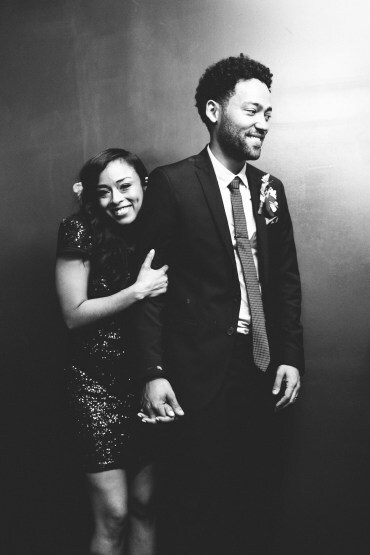 I am a lucky woman. 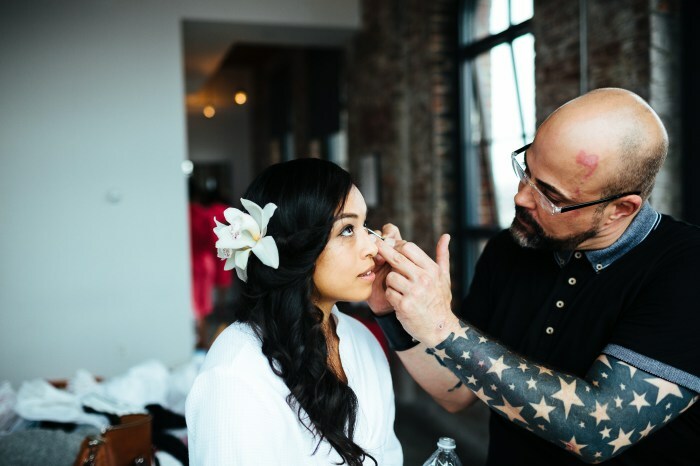 I lead a blessed life; I have my health, friends, family, and every so often I get to work on a wedding that is so beautiful that I can’t believe I actually get PAID to do this. 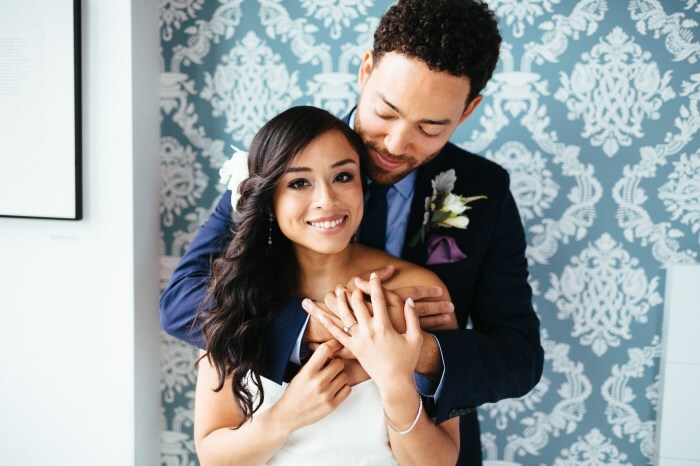 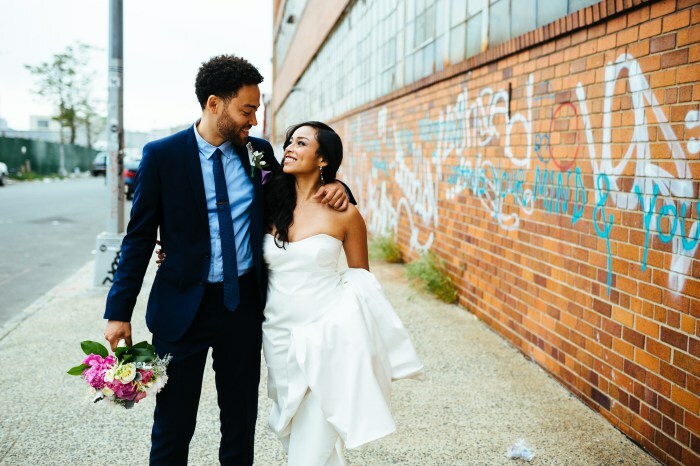 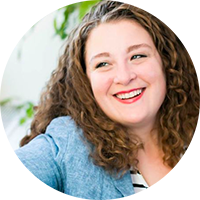 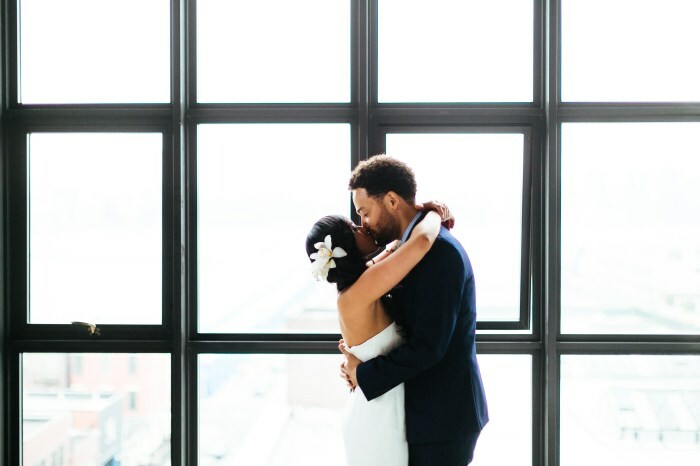 V and T’s wedding in Brooklyn was just so, and they themselves are so lovely and wonderful that I just couldn’t wait to share this wedding! 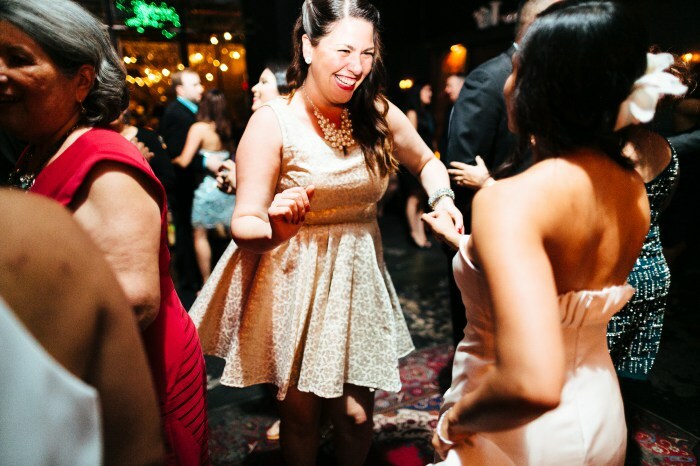 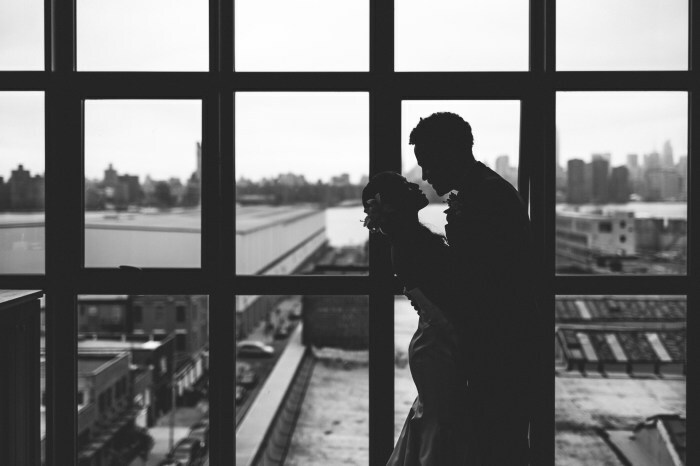 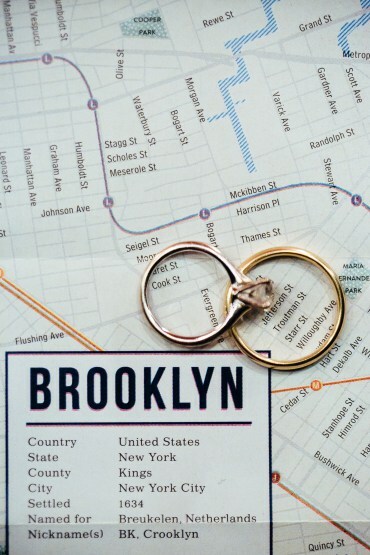 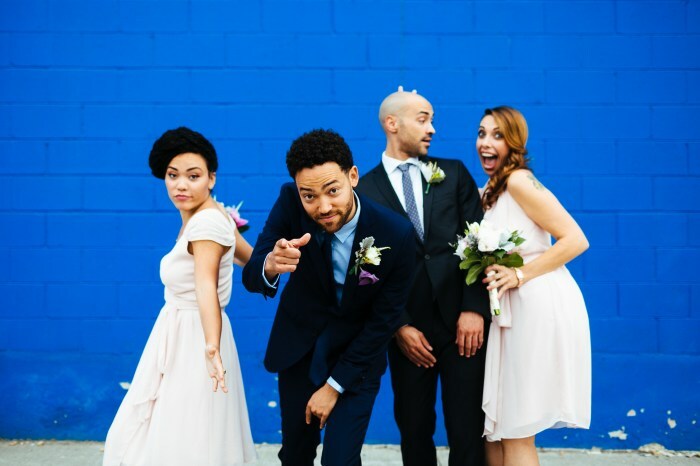 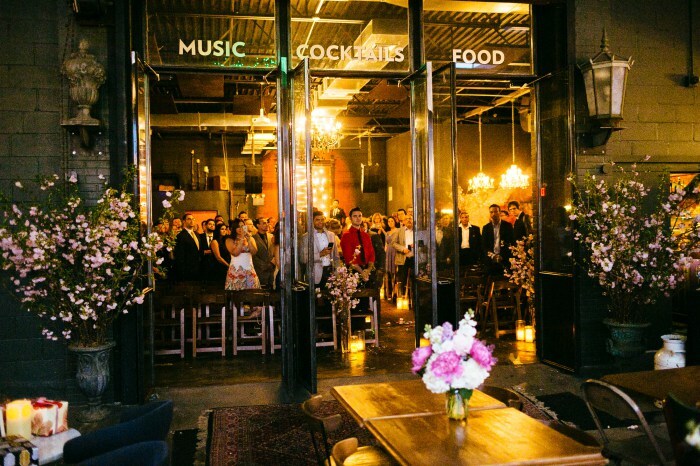 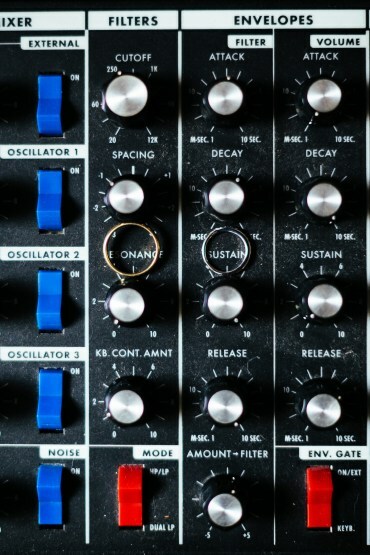 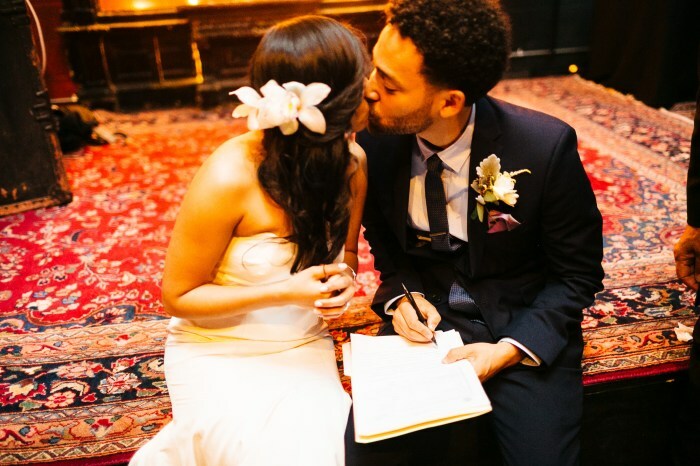 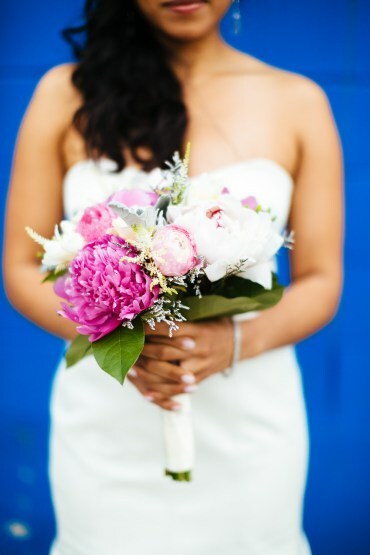 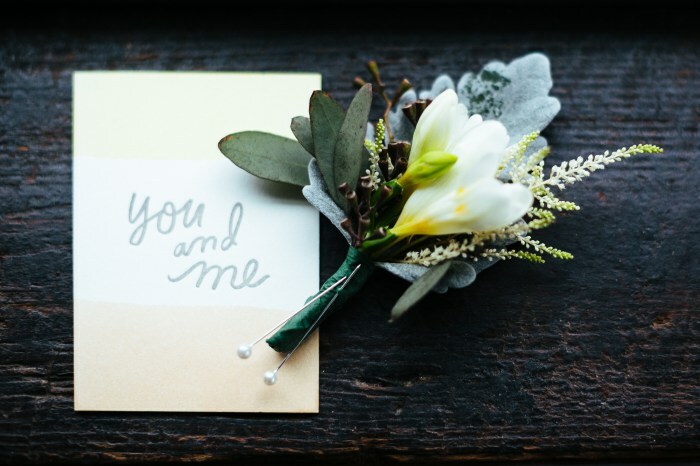 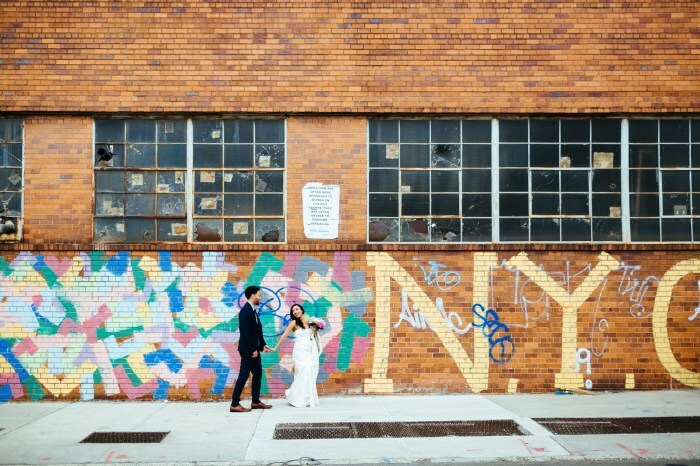 The wedding was held at a super off-the-beaten-path venue in Brooklyn – Lot 45. 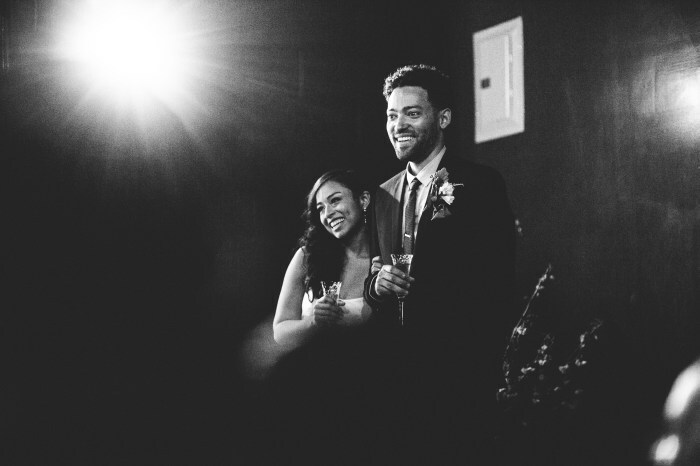 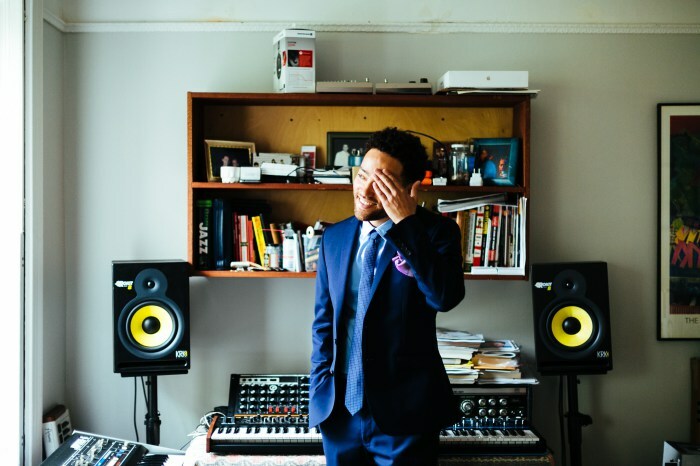 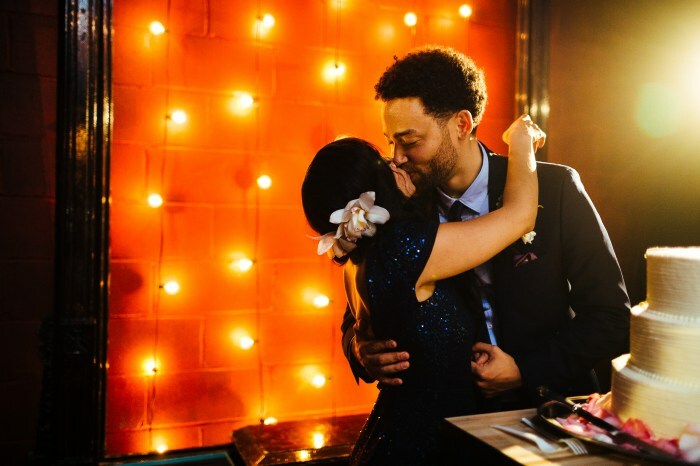 The groom had previously hosted his record release party there, so it was the perfect fit and when we all went to visit the venue together, his song he wrote for V was playing in the background (is this real life?). 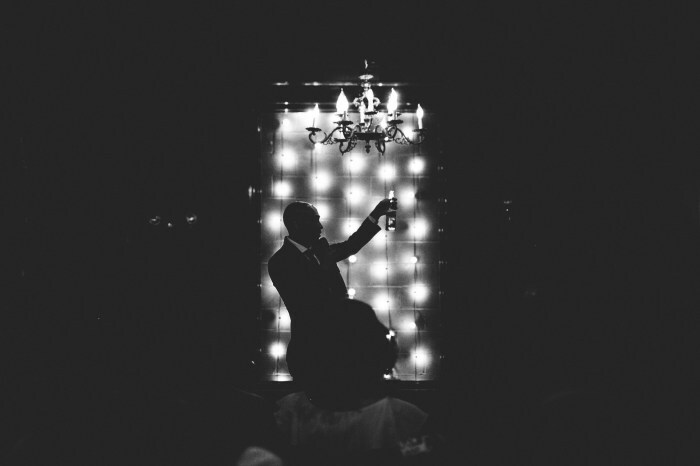 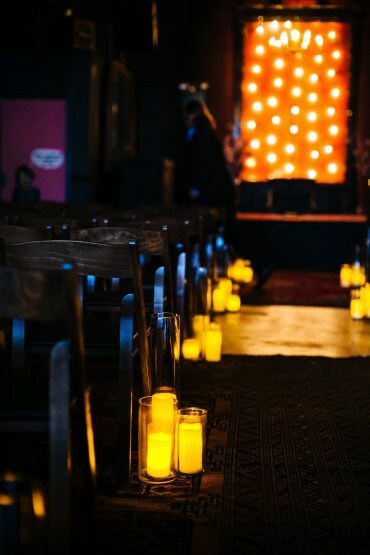 On the wedding day, the venue hung a vintage chandelier for the occasion and we put the LED candles (no open flames allowed) in glass cylinders to really amp up the glow. 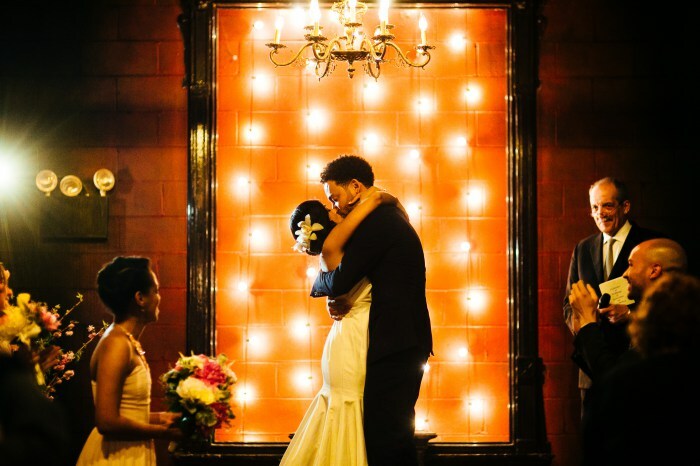 And then of course we hung a bistro light backdrop because there were never too many romantic details we could squeeze in! 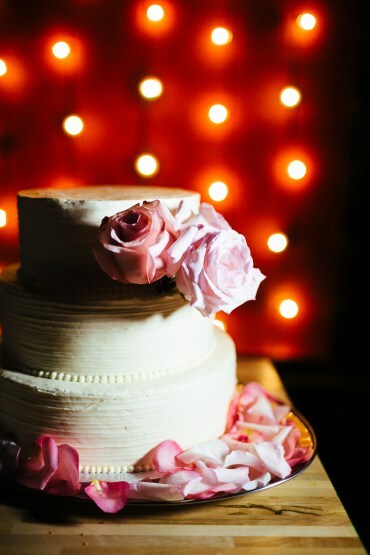 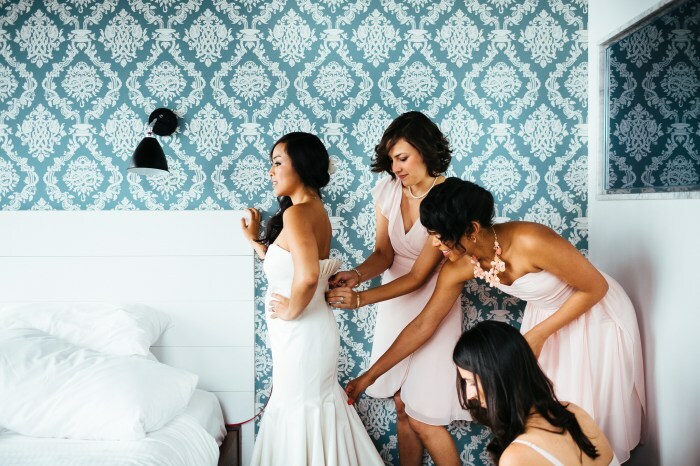 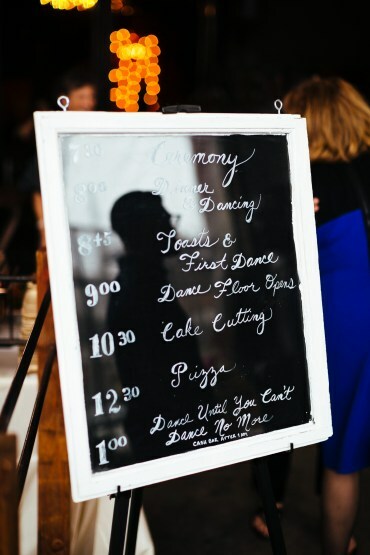 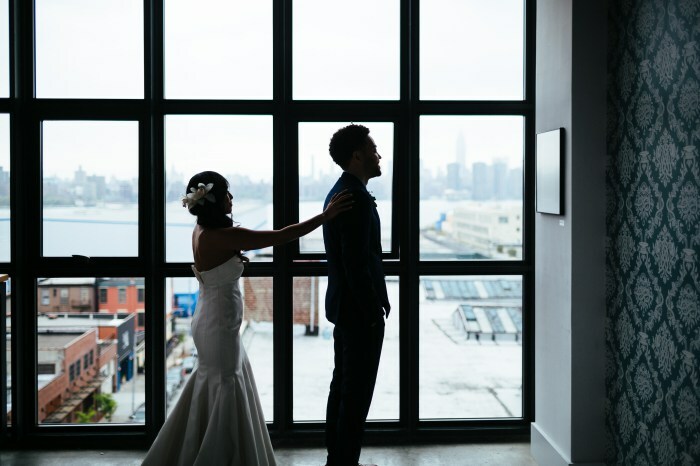 I had the pleasure of working with some uber talented vendors on this wedding, from the first look inside the Wythe Hotel, to Columbia Florist out of the Bronx, to DJ Dhundee on the turntable, One Girl Cookies on cake-duty, and (the obviously incredibly awesome, I mean look at these photos) Chaz Cruz on photography. 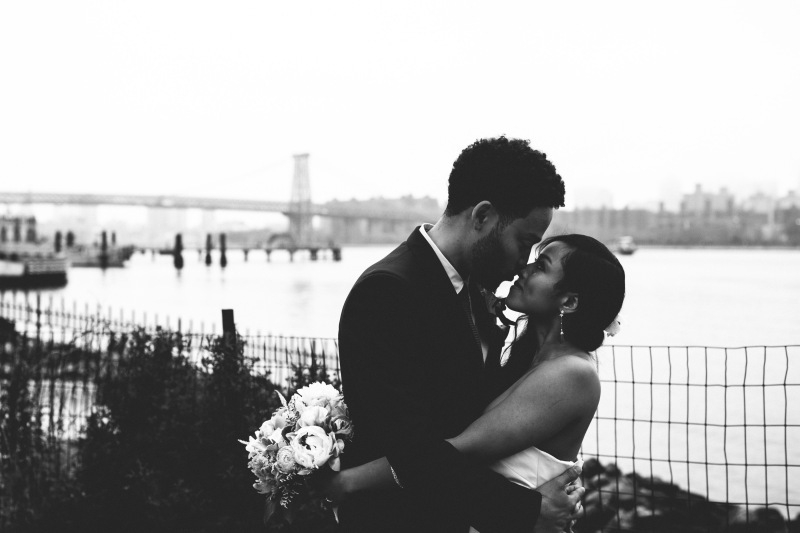 I could go on and on about this wedding, but I’ll let the photographs speak for themselves.